Many of us have a day off on Monday, January 17 for the very worthy reason of remembering Dr. Martin Luther King Jr. We did not want this holiday to go by unnoted, and we truly think SageCliffe is made for thinking, dreaming, & remembering…all things certainly characterized and fostered by Martin Luther King Jr. It may be an unsual thing to market as part of a resort, but we do like to talk about the air at SageCliffe. Because, as anyone who has spent time here or at the adjacent Gorge Amphitheater can tell you, the air here is sublime….it is clean. Sometimes we are all unaware of the pollution we breathe every day until we step out into the fields of SageCliffe and take our first deep breath. And then we smell…..sage, grape vines, rocks, dirt, sun (yes, we think it has a smell!) and that’s it. There is just–clarity. It’s fairly intoxicating. And although perhaps unusual to talk about, we must, because it is such a distinctive hallmark of SageCliffe–this clean, pure, lovely air. If you visit our website you’ll see many, many photos of sky. Because SageCliffe is Big Sky country. Our perch here on the plateau above the mighty Columbia River provides a sense of the treetops; that feeling you could reach up and touch the immense expanse curving out and away above you. The very largeness of the sky, and the fact it is so often tropical-water blue, creates a sense of peace and calm. It’s uncanny, what simply gazing at a sky unencumbered by man-made creations can do for the soul. As the eyes move up, so do your spirits. Yes, they are hallmark. Truly phenomenal, breathtaking vistas of craggy basalt cliffs, spreading plateaus, the sudden lushness surrounding the hidden waterfall and stream, the wide curving slants of river, the long, orderly lines of grapevines and the acres of apple trees in full pink bloom. When we say we feed the senses we are not just talking about the wonderful foods at Tendrils, or the fine wines of Cave B Estate Winery. We are talking about the power of the nature which surrounds–and is–SageCliffe. When we’re able to see for vast distances, we are somehow able to think and dream very, very large. We’ve seen it time and again with guests of SageCliffe–they go away excited and energized with new ideas or the unexpected connection together of dots they may have struggled with in the past. So although we often talk about our great present promotions and what we can offer in the way of lovely accommodations, spa services, wine and food, just as significant–if not more so–is what is at the core of SageCliffe: it’s very nature, if you will. Come visit us and just breathe the air, gaze at the sky and the long-vista’ed views. Think, ponder, remember, breathe….and dream. We can’t think of a better way to help celebrate the wonderful Dr. Martin Luther King Jr.
We are open an extra night this holiday weekend, with rooms available Friday-January 14-Sunday night, January 16. We also have a special rate just for you which you can read about here. We hope you come and dream with us. Maybe it’s the change in seasons which just became official, or maybe it’s the nostalgia and romance left in the air after last weekend’s SageCliffe wedding, but whatever the reason, it feels like a good time to reflect. Often guests looking for a great Washington State resort get just the basics: a click here, a click there, a quick look at the prices and amenities, and then they’re off to the next website. Comparison shopping is not only necessary, it’s smart. But we can tell you that from the resort side of things, we do hope that first-time guests looking for a great Washington lodging experience can somehow glean a bit more from their searches. A getaway is a time and money commitment, and it’s also an expectation risk–you’re never quite sure you’ll get what you really want. So how can you get beneath the surface information and get a feel for the soul of a place? How can you grasp its spirit? One way may be for us to simply give you more of SageCliffe’s story. For SageCliffe certainly is a Washington resort with a rich history and many stories to tell. Did you know that Dr. Vince Bryan and his wife Carol purchased the land SageCliffe Resort spans back in 1980? 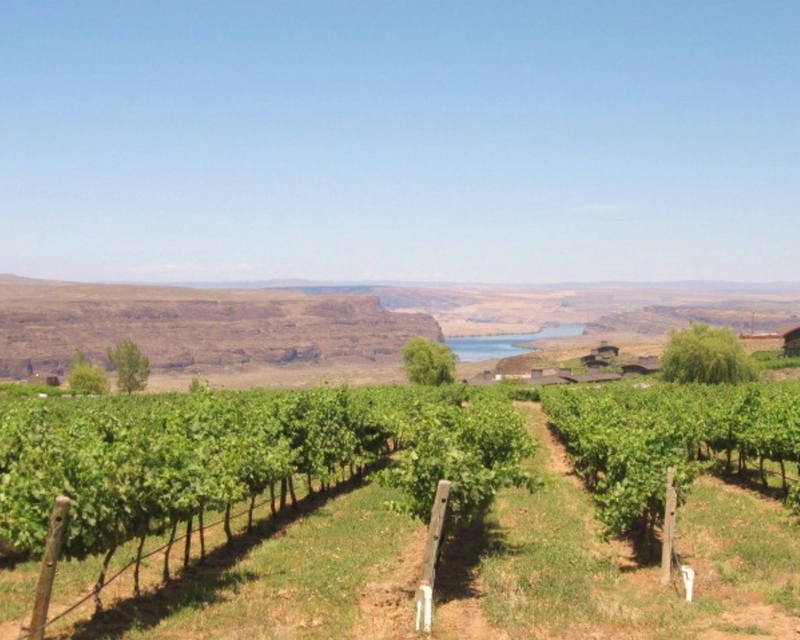 They had spent the greater part of a year driving all over Washington State, looking for a property with the absolute best conditions for growing wine grapes. The station wagon they drove upped its odometer numbers, that’s for sure. The search began on the westside of the mountains but eventually moved across the Cascades into Central Washington….and there they found an extraordinary piece of land. This 500+ acre property (which has now grown to 700 acres) encompassed what we now call The Gorge Amphitheater, Cave B Inn, The Spa at SageCliffe, Tendrils Vineyard Restaurant, Chiwana Village at SageCliffe’s luxury yurts, and Cave B Estate Winery, along with over 100 acres of vineyards and 50 of apples and cherries. But in 1980 the land held an alfalfa field, a mobile home, a shed…and spectacular beauty on the edge of the Columbia River Gorge. The Bryans had found what they were looking for. They didn’t know it then, but they had also found much more. More story-posts from SageCliffe coming soon. Do Grapevines Turn Colors in the Fall? The answer is: At Cave B, we hope not. This is because grapevines only turn vibrant shades of red, yellow and orange if they are sick…if they are suffering with a virus. So, although we’ve all seen beautiful photos of long lines of sunset-hued vines stretching into the distance in the hills of France or Tuscany, say, just know those vines may very well have been suffering underneath all their beautiful colors. For a healthy wine grape vine, Autumn brings with it the heavy cluster of ripening grapes, a gradual drying out of grape vine leaves, and, after the first frost descends and the cold temperatures hit, ultimately a loss of the leaves altogether. So, if you’re out for an autumn drive to look at the changing leaves, hit Snoqualmie or Stevens Pass for the vibrant splendor…but come to Cave B for the hefty, plush and lush clusters of red and white grapes, the woody, sculptural-like supporting vines, and for the delicious result of those vines…the Cave B wines. 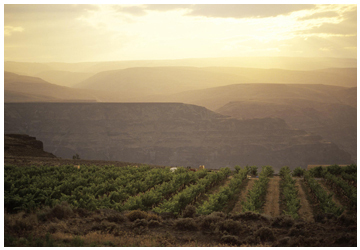 The Best Way to Enjoy Washington Wine Country this Fall? 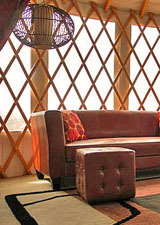 ….Stay in a luxury yurt. Have you never put Washington wine country, harvest season and round dwellings begun by nomadic Mongolian tribes together in one sentence, yet alone one experience? That’s what we thought…and that’s one of the reasons we’ve added our 25 Chiwana Village luxury yurts to SageCliffe resort. With September beginning tomorrow, so to0 does the harvest season at SageCliffe. For a destination winery resort, this means the most exciting, dynamic, and true-to-nature season of the year…and this year you can experience the food, wine, amenities and festivities of SageCliffe in an entirely new way…with a yurt stay. There is simply something divine (no pun intended) about staying in a beautiful, comfortable and conversation-worthy yurt while you enjoy a weekend of harvest activities (our Harvest Festival runs October 15-17 this year), or a mid-week mini-trip to enjoy a grape-inspired spa treatment or signature Chef Joe Ritchie meal at Tendrils. There’s something great about leaving your yurt and walking the short distance through beautiful vineyards heavily laden with ripening grapes to experience a wine tasting in the Cave B Estate Winery roundhouse, or glimpse the winemaker and his team at work loading the crusher with newly-picked grapes. There’s something “best” about the fact you can gaze at the sunset over the gorge from your yurt patio, and sip your coffee from the same as you watch the sun rise the next morning. Surrounded by vineyards at their prime, a working winery, delicious, seasonally-inspired meals, the utmost in spa relaxation, ruggedly beautiful and dramatic gorge hiking trails and viewpoints, with your personal, beautiful yurt and the great Chiwana Village Hosts at your disposal, this may very well be the absolute best, most creative and inspiring way to enjoy Washington Wine Country this fall. 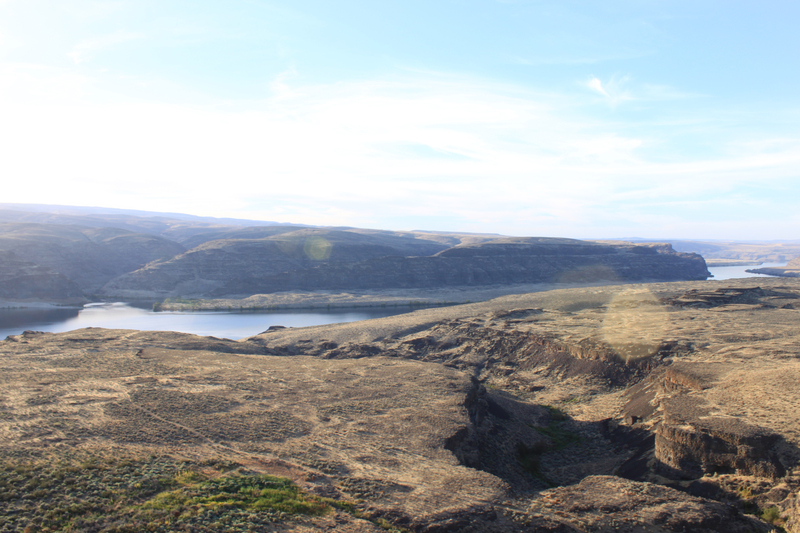 Best Gorge Concert Lodging Around? We think so. Planning on attending an upcoming show at The Gorge? Have you camped just one too many times, or groaned as you realized that after your wait to get out of parking post-concert, you’ll still have a drive ahead of you to your hotel? We understand. And we think just maybe we’ve kept SageCliffe a little bit too much of a good secret. Because did you know? It’s right next door to The Gorge Amphitheater. And it has not one, not two, but three different kinds of lodging options. Just this summer, we added 25 luxury yurts to SageCliffe’s lodging options, which already included beautiful Cave B Inn, with its Cavern rooms (built right into the cliff), three suites in-lodge, and 15 ultra-cool stand-alone Cliffehouses. The yurts are part of Chiwana Village at SageCliffe, and are just a stone’s throw from Cave B Inn & Spa and Cave B Estate Winery, nestled among vineyards and with a beauty all their own. But what of the cost, you say? You won’t be paying camping costs. But…you won’t be camping. And we have all sorts of special packages happening all the time, to help provide both great value and that signature SageCliffe “something special.” Right now Chiwana Village has three special package offerings. You can see them here. And Cave B Inn has a whole bevy of options for you as well. We know: It’s hard to choose. But we feel we can say with some certainty that no matter which Gorge concert you choose to attend, you’ll make it just that much more fun, and that much more enjoyable, if you try a stay at SageCliffe. Your friends will think that you’re the rock star. Q. So I know what a yurt is, but what the heck is a luxury yurt? A. A luxury yurt is not just a yurt with high-quality, ultra-comfy & good looking interior design and features; a luxury yurt is really the entire lodging experience: it means you’ll be enjoying the close-to-nature aspect inherent with a yurt (they are canvas walls, after all, and you will hear the wind, the birds…) while at the same time enjoying the comfort and ease of a premium resort; its amenities, service and tremendous setting. Q. To be honest, I’m not sure what a “premium resort” really means, either. A. A Premium Resort is a place where the guest is #1: Where service is everything, and every detail is designed to give you an unique, relaxing, engaging and high quality guest experience. Although there are many rating systems used for resorts (think stars, think numbers…) a premium resort is really about how each individual guest feels. A Premium Resort has done its job if it not only meets your expectations, but exceeds them. Q. Okay. So if I stay in a yurt at Chiwana Village, how is that different than staying in a yurt at a state or national park? A. You’ll have a king-size bed with plush mattress and dreamy-soft bedding and pillows. A sink-your-feet-into it carpet in front of the bed. A full-size brown or red leather couch in front of beautifully-draped windows (that look out on the SageCliffe views–speaks for itself). The bathroom is an airy, sizeable room and has those great, soft, pure-white “hotel towels” that we all wish we could steal when we stay at a resort (but please don’t…) A bamboo-framed mirror, blond-wood accessories and accents. You’ll enjoy your own private shower and the happiness of knowing all you need to do is walk out the bathroom door and you’re right back into your beautiful yurt living/bedroom. 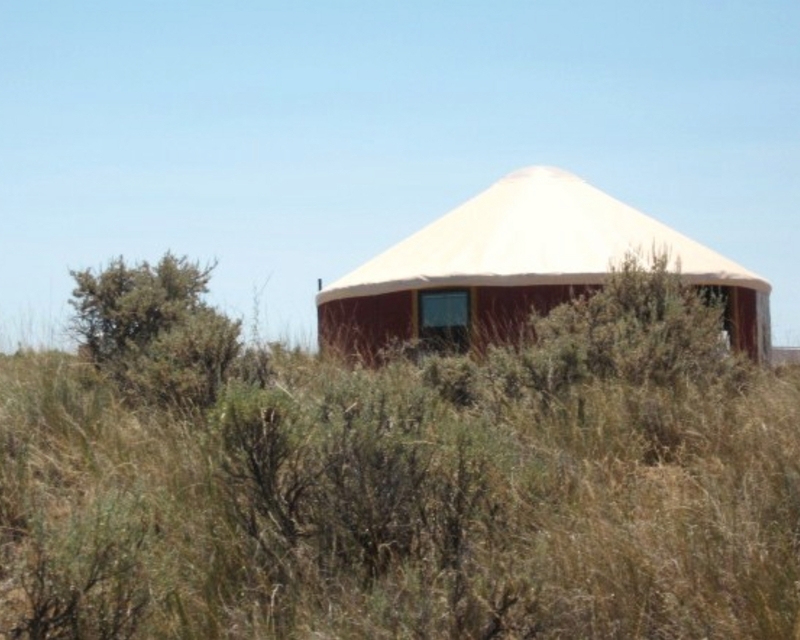 Throughout the entire yurt you’ll walk on the coolest colored concrete floors, and you’ll have a huge, clear sky-dome above the bed that you can open and close at whim. (Star-gazing while lying in bed, with a cool breeze flowing over you…sound good?) And, when you can get yourself to leave your luxury yurt, you’ll have a chance to sit on your own personal patio and gaze northwest at the vineyards, the cliffs in the distance, the grounds of SageCliffe and, if you’re in a River View Yurt, the stunning Columbia River and gorge. Then you can jump on a courtesy cruiser bike, feel the wind in your hair as you bike down a vineyard row or path to Cave B Inn and have simply one of the most creative, deeply satisfying meals you’ve ever had at Tendrils Restaurant. Then you can walk or bike to Cave B Estate Winery nearby and wine-taste through some spectacular (8 medals were awarded this year at Seattle Wine Awards!) wines by Winemaker Freddy Arredondo. And don’t forget the Spa…The Spa at SageCliffe is between the Inn and winery, and the treatments there are simply divine (no pun intended…well; maybe a little.) From grape-inspired treatments to your basic-yet-wonderful aromatic facials and the rest, the spa is just waiting to send you back out into the world (or back into your yurt) ultra-refreshed, ultra-relaxed, and feeling like you’ve had a long, delicious, restful, luxurious vacation. What else? Marked hiking trails down into the gorge (you can go all the way to the river…ahhhh) The Chef’s Garden, and our seasonal events (Harvest Festival weekend is mid-October this year). We think this all makes it pretty different than a camping yurt at a state or national park. Don’t get us wrong; we love those, too. They’re just not what you’ll find here. Q. I’m feeling relaxed just reading about it. But I’m really a nature-lover, and I care a lot about the environment. Won’t all those yurts change the peace and beauty of SageCliffe? I love how the Inn, Winery & Spa don’t stick out from their natural surroundings. A. Chiwana Village is still in its infancy, so that means it doesn’t have the “camouflage” characteristic of all the SageCliffe buildings quite down yet. But it will–and soon. And more than that: The reason we chose to go the luxury yurt route was principally because of the environmentally-friendly nature of yurts. We chose yurt manufacturer Rainier Industries because they’ve received premier certification for environmental sustainability. We are not going to surround the yurts with Western-Washington-like sweeping lawns, because this is a high-steppe region, and acres of green grass do not grow naturally here! Already located within Cave B Vineyards, we’re planting more vineyards which will run right through Chiwana Village. The plants are small this first year…but they’ll grow. And they’ll be true, producing vines with grapes that will go towards making those fantastic Cave B wines. And we’re putting in a water feature in the Village. But don’t fear…it will have water in it only when the vines are being irrigated; this means that no extra water is being used solely to beautify; it means reduced water waste and sticking to what the natural environment dictates. Q. So does this mean this first season, Chiwana Village will have little to no landscaping? A. It means for all seasons, Chiwana Village will hve little to no landscaping…instead there will be the vineyards, and beautiful basalt rock from the property, and the stunning (see pic) natural wildflowers, sage and tumbleweed, which we will let grow back in and around the yurts. We know that letting the SageCliffe be its own, natural self is the very best way to beautify Chiwana Village…nature always does it best. Q. 25 luxury yurts is a lot of yurts….will I hear my neighbors talking? A. Maybe. They are canvas walls, but they’re not wall-to-wall like a hotel. And they’re not in a busy campground. So far, guests have told us they’ve predominantly noticed the birdsong in the morning. We also have a sound ordinance, and a two people per yurt policy, to protect the peace and serenity. Q. Will the yurts be open year-round? A. No; these are best used when the weather’s nice, so they are open July-October of 2010. But starting next year, they’ll have a longer season: May-October. Q. I’ve only paid about $35 for a yurt stay at a park. These are much more expensive. Why should I stay in a Chiwana Village yurt instead, and pay those higher prices? A. If you think you’d enjoy the luxury yurt experience as described above, then this is the place for you….and the price is amazing, as you are receiving the accommodation, amenity and experience level of a premium resort. Q. I want my kids to have a luxury yurt experience, too. But you have a two person per yurt policy. Are kids okay to bring? A. We’ve created a special Friends & Family Package designed specifically for those who’d like to bring their entire family, or friends. 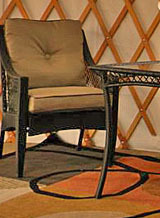 This allows you to book a second and third yurt for 50% off the regular rate, when you book a regular-rate yurt. How much fun would that be….all your important peeps in a yurt cluster…it would be like creating your own little village-within-a-village! Q. But what if we’d like to have a romantic couples experience? Q. Were the yurts principally added to SageCliffe to accommodate the concert-goers at The Gorge? A. Although we absolutely welcome concert attendees (and love that we can now offer more Gorge Amphitheater lodging to concert-goers), the primary reason we added Chiwana Village was to simply provide more rooms, while striving to make those “rooms” unique, environmentally-friendly, and, ultimately, beautiful. Q. Why did you call the luxury yurt village “Chiwana Village at SageCliffe,” instead of just “The Yurts at SageCliffe?” Isn’t that creating another brand? A. SageCliffe is the entire resort…the entire property. We keep “SageCliffe” as part of every entity…Cave B Inn at SageCliffe, The Spa at SageCliffe, and Chiwana Village at SageCliffe. The winery is different (everything about wine is different!) It is Cave B Estate Winery. But one of the two labels the winery produces are its “SageCliffe” wines. Q. What if I still have more questions about luxury yurts, or Chiwana Village at SageCliffe? A. For now. We hope to see you soon! Writer Jackie Smith stopped by our Chiwana Village open house last Wednesday, and the result is a mention in the Seattle Times’ Weekend special travel section. We enjoyed meeting Jackie and taking her through the yurts and on a tour of the entire SageCliffe property. Thank you to Jackie & the Seattle Times. One blog editor’s note: Heat & AC were mentioned in the article…the yurts do not have (or need) heat, and AC, although planned, will not be in place this first season….with fans and the open-able skydome, the yurts are comfy! Yes…so far 15 yurts are up and looking good! We’ve had a terrific response since we opened for reservations…thank you! Many of you have wanted to know exactly where the yurts are l ocated on the SageCliffe property; we now have a map showing you their placement. Just visit the Chiwana Village at SageCliffe web page: http://www.sagecliffe.com/chiwana_village.htm. We now begin to move in the furniture and do all those very-important finishing touches. You can check out each of the yurts at our Open House on July 14…undoubtedly you’ll have a “favorite,” and we think that’s great! Definitely let Chiwana Village hosts Bob & Mary know; they’ll take note of it, and you can think of “your” yurt as, well…yours!